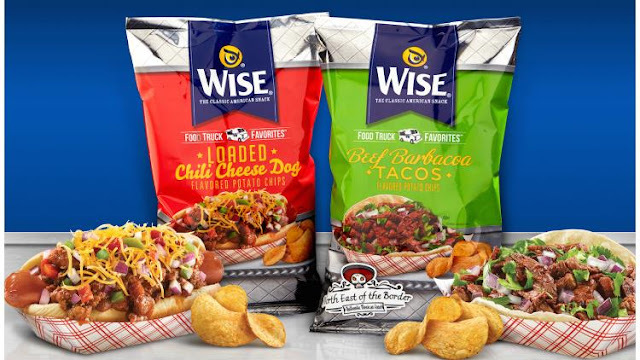 American crisp manufacturer Wise Snacks has released new packaging designs for its line of chilli cheese and beef taco ‘potato chips’ (their words). The packaging hopes to evoke images of the meals-on-wheels industry; which itself is currently experiencing an upsurge in the United States, on-course to rack-up revenues of close to $2.7 billion in 2017. It’s hard to pin-point exactly what is so appealing about crunchy things; but the Wise packaging hits that nail just right. The point: the packets are, on various levels, ergonomic. To start with, it feels like you’re eating the food before you even pick the packet up. The experience has started when the chips are still down – you can see the metallic sheen, the pop-rivets on the labels, and the fresh, bright colours which adorn the front. But picking them up takes you through to stage two: the crackle of the packet when it’s held in the hand. It’s just as Thorneycroft says, when you’re on the cusp of that ‘moment of truth’ – exciting, and maybe more real than the thing itself. The packaging does exactly what you want packaging to do; selling the product as an idea. The material from which the packaging is made is therefore foundational to the brand. However, it still remains an excellent way to keep things fresh. The packets are flexo-printed foil film: a polymer coated in a very thin layer of metal through a process of physical vapour deposition. 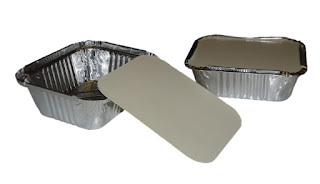 Usually the metal is aluminium, which is non-toxic and is widely used to transport food for takeaways, restaurants and, of course, meals-on-wheels companies. Not all food packets are the same, though. The employment of slightly thicker layers of aluminium makes for a slightly more rigid packaging: too much would make it stiff and almost bendy; but just the right amount of aluminium combined with just the right thickness of polymer, makes for the perfect packet, in terms both of marketing (where texture is king) and safety (where foil rules). That’s the challenge, therefore, which packaging teams face: getting the right balance of thickness between the polymer and its non-toxic metal coating. Oftentimes, it’s a hard balance to strike; but it seems that, on this occasion, Wise have made a move which lives up to the company name.